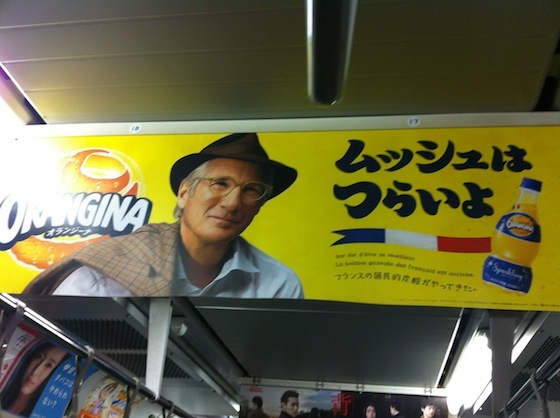 While riding the subway during my two-week trip to Tokyo, I saw Richard Gere on print ads for Orangina. Seeing the ads made some members of the JapanBall tour group with whom I was traveling nostalgic for the citrusy beverage. A few days later, by sheer coincidence, my friend Tamio in New York posted on Facebook the link to an article from GaijinPot. 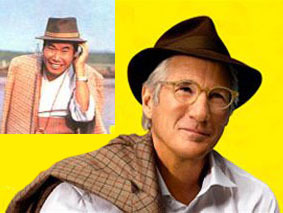 The site, which gives tips on jobs, apartments, and culture to foreigners living in Japan, explains why Gere appears on Japanese ads for a French soft drink. Now it all makes sense! I had no idea Japanese beverage company Suntory produces Orangina. While I’ve never seen the Tora-san films, I recall Japan Society screened a “best of” series a couple of years ago.